Looking for exciting new talent! We're on the lookout for exciting new design talent! Versatility to cover a broad range of areas is essential; character, florals, geometrics, typography, etc...and this would be across stationery, homeware, kidswear and more! If you think your designs would suit our studio style and aesthetic, we're waiting to hear from you! 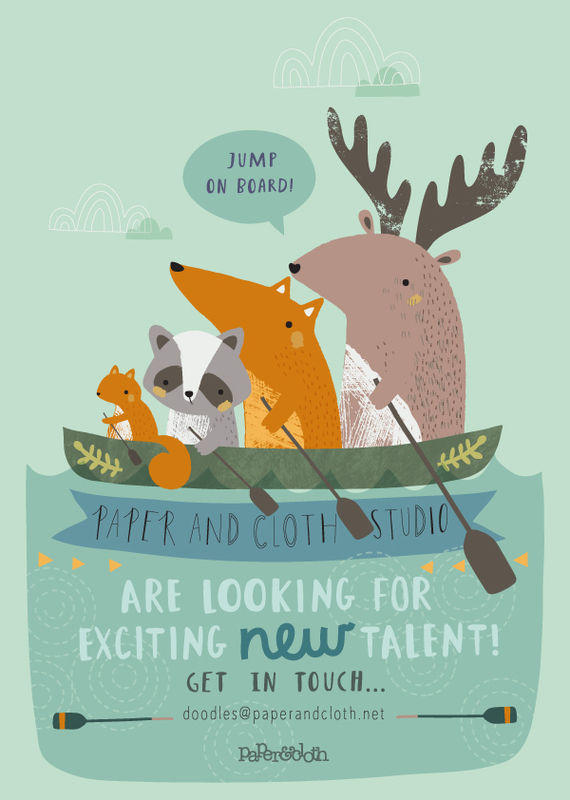 Applicants can apply to doodles@paperandcloth.net and must include a pdf showing examples of their work, along with a CV/ detail of relevant design experience. Successful candidates will be contacted but unfortunately it may not be possible to reply to all submissions.